China Railway Group Ltd has won a $390 million contract to develop the Moscow-Kazan high-speed railway which is to be further extended to China. The railway will become part of the new Silk Road project. 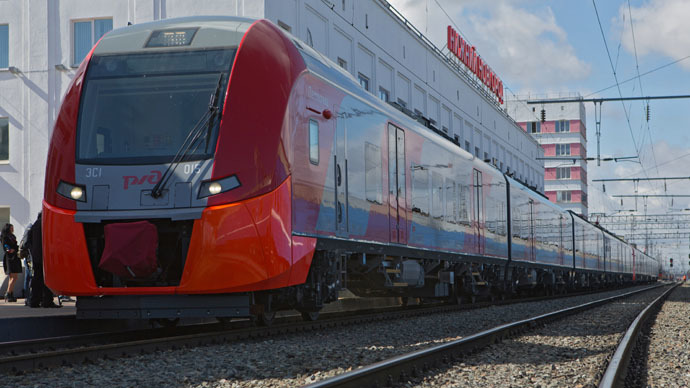 A consortium led by a China Railway subsidiary together with two Russian companies will jointly conduct surveying, regional development planning and design for the Moscow–Kazan segment of the Moscow–Kazan–Ekaterinburg high-speed railway line in 2015-2016, China Railway Group announced on Wednesday, adding that the formal deal will be signed by the end of May. The company expects to complete the project before the 2018 FIFA World Cup in Russia. Kazan will be one of the Russian cities hosting the tournament. The cost of the Moscow-Kazan link is estimated at $21.4 billion. Train travel from Moscow to Kazan, the capital of the Republic of Tatarstan, will be shortened to just three-and-a-half hours instead of the more than 14 hours it takes now. The train will be able to reach speeds of 400kph. China sees the Moscow-Kazan project not as just an investment, but also as means to improve communication and trade with Russia and Europe. The rail link could connect Moscow and Beijing in the future as the two countries plan to start a high-speed train between their capitals taking two days. The idea also coincides with the revival of the Silk Road project. Last month Beijing proposed building an economic corridor linking China, Mongolia and Russia. The construction of the economic corridor could connect China’s Silk Road Economic Belt to Russia's transcontinental rail plan and Mongolia's Prairie Road program, as the Chinese Foreign Ministry said in April. China will invest almost $6 billion in the construction of Russia’s first high-speed rail line between Moscow and Kazan, Russian President Vladimir Putin announced last week during a meeting with his Chinese counterpart. A number of deals worth billions of dollars have been signed when Chinese leader Xi Jinping visited Moscow for the 70th anniversary of the defeat of Nazi Germany in World War II.